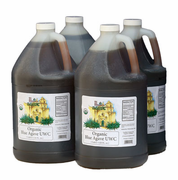 The Amber-dark Unrefined Blue Agave Nectar is a full-bodied Agave Nectar. Preferred by Craft distillers, and brewers for creating complex agave flavor notes. Works as both adjunct or the primary fermentable. *Agave wash: ~1 lbs. Dark-amber per gallon filtered water. (Filter the water to remove chlorine, boiling the water is optional unless your water is not drinkable [potable water]). Clean, and sanitize your fermenter as needed. 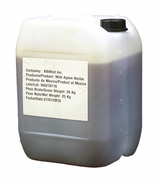 Add agave to cool water, pitch your yeast (either dry or re-hydrated works); *follow the instructions related to your selected yeast, and keep the fermenter in the required temperature zone detailed by the yeast supplier. 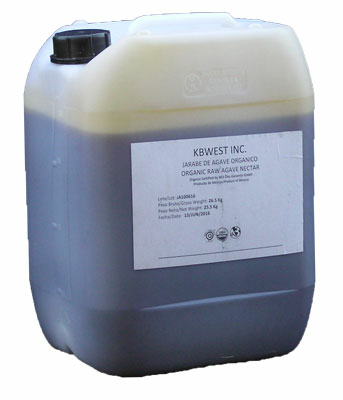 In many cases and depending on your fermenting yeast or bacteria selection, it will create a sour wash.